Most people receive medical insurance through their employers, as this is one of the best ways to cut down on the cost of obtaining coverage. 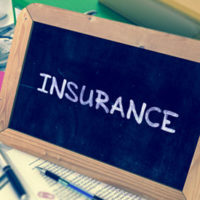 Furthermore, many families are covered under a single spouse’s policy, especially if the insurer in question provides good coverage at a reasonable price. Although this is an advantage for most couples, it can become a problem for those who decide to divorce, as it almost always leaves one party without insurance and if that individual is not employed, he or she could have a hard time finding affordable insurance. The situation can become even more complicated if a couple has children, as the parties will most likely have to grapple with who will provide insurance and how expenses will be divided. These types of issues can quickly become complicated, so if you are considering divorce and have questions about who will provide coverage for you and your children, you should strongly consider speaking with an experienced divorce lawyer who can address your concerns. Under federal law, health insurance providers that contract with companies who employ 20 or more employees are required to provide temporary coverage to ex-spouses for at least 36 months after the finalization of a divorce. However, ex-spouses only have 60 days after the issuance of a divorce decree to contact the insurance company and enroll in insurance. Unfortunately, these plans are often expensive because they are not subsidized by the employer once the divorce takes place. Florida law does not require ex-spouses to continue paying for health insurance once a divorce is finalized. However, many couples choose to negotiate this issue as part of the divorce settlement. Alternatively, a court may give a greater share of marital property to a spouse who will lose insurance coverage and who struggles with serious health issues. Under Florida law, at least one parent is required to pay for health insurance for a couple’s children after a divorce. In most cases, the parent who is ordered to pay child support will also have the responsibility of providing insurance coverage, but only if the cost is reasonable and coverage is accessible. Generally, costs are considered reasonable as long as the additional amount doesn’t exceed five percent of the parent’s gross monthly income and coverage is deemed accessible if the policy covers the county where the child lives. In the event that the parent receiving child support must provide health insurance, the non-custodial parent will usually be required to reimburse at least some of those costs. 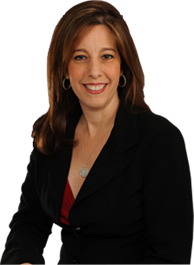 Maintaining coverage after a marriage is dissolved is a serious concern, especially for those who have children or who struggle with serious health problems, so if you have questions about who will provide health insurance coverage for you or your child after your divorce, please contact experienced Fort Lauderdale divorce attorney Sandra Bonfiglio, P.A. at 954-945-7591 to schedule a free case evaluation.